Christian was born in Phoenix and grew up just a few miles from where Stone Creek is located. After graduating from the University of Arizona, he worked as an Account Executive for a radio station in Phoenix, for four years. Christian says, “I was beginning to get the success and material possessions I always thought I had wanted. But, I was only experiencing moments of “happiness.” When I was alone with my thoughts I wasn’t content or joyful. When I heard that Jesus could give me joy and peace regardless of my circumstances, I accepted Him as my savior and I immediately started living for Him.” Christian got very involved in his church, where he met his wife, Angie. They were both small group leaders and met at a training meeting. Christian and Angie have been married since 1999 and they have three sons. Christian says, "One of the most important things I do on a given day is disciple my boys, through doing quiet time together or just talking about life from a biblical perspective." Christian enjoys snorkeling, tennis, snow boarding, and just about any other outdoors activity. He loves spending time with his wife and his boys. One of his favorite activities, is to have meaningful conversations, with God, Angie, his friends, and anyone who will get deep. Matt has been involved in musical worship ever since he was asked to lead singing for his youth group. Since then he has led worship in song and served with teams at churches in Montana, California, and Colorado, mostly as a volunteer, but also as a pastoral assistant for his long-time home church in Livingston, Montana. He also served with a Christian band that led worship services at churches, prison chapels, and other ministries across Montana, and has led singing for a variety of retreats and camps. Matt has been married to Kathryn since 2011. A native of Phoenix, Matt has lived much of his life in Montana. 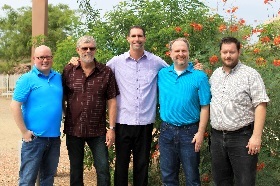 He returned to Arizona with Kathryn so they could both pursue their Master of Divinity degrees with an emphasis in Spiritual Formation at Phoenix Seminary. They hope to graduate sometime in the next few years! The Greens are thrilled to be serving with the Stone Creek church family. Matt received his M.A. in Philosophy of Religion from Talbot School of Theology and a B.A. in Communications from Moody Bible Institute, and he has worked as a graphic designer for more than 15 years. When he’s not strumming the guitar or writing papers for class, Matt enjoys hiking, running, mountain biking, gardening, baking, and playing with Jack, Kathryn’s and his friendly border collie. Anne grew up in a small town in Minnesota, after moving to “the cities” she met her husband, Greg They married in 1991, and moved to Arizona. Within a few years God blessed them with their daughter Greer and son Daniel. In June 2016 God blessed them with a daughter-in-love (law), Brittney. Throughout the years she has kept busy being involved in her kids’ lives and the lives of others at church. After years of showing passion and gifting for teaching children about Jesus and the whole counsel of God at Stone Creek, in February of 2010, she was asked to come on staff to oversee all of KidZone. Anne is amazing with recruiting loving people to care for and help teach our kids. 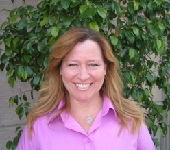 During the past five years Anne has been taking classes at Phoenix Seminary. She is now well on her way to obtaining an advanced certificate in systematic theology. Anne is a fun loving, competitive, woman who strives to be a woman of God in all that she does. She enjoys playing games, particularly Settlers of Catan and Euchre. Most importantly, Anne loves Jesus. She loves her family. She loves children of all ages. She loves teaching God’s word.